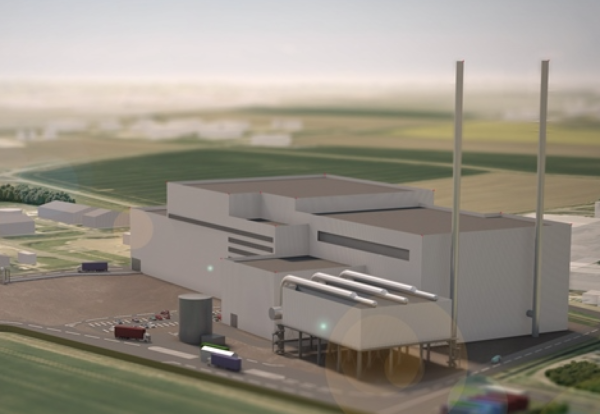 Plans have been submitted to build a £300m energy from waste power station in North East Lincolnshire. The proposed plant would be located next to the existing South Humber Bank power station near Stallingborough and produce electricity for around 500,000 homes. Developer EP UK Investments hopes to receive a planning decision by the end of March from North East Lincolnshire Council. The firm is a subsidiary of Europe’s seventh largest power generator EPH. The Czech company acquired 2.2GW gas-fired power stations from Centrica in 2017 and commissioned a 420MW biomass power station at Lynemouth last year. James Crankshaw, head of engineering for EPUKI, said: “We are very pleased to announce the proposed development of an Energy Centre at the South Humber Bank Power Station and it follows the completion of our recent £53m investment in the existing site. “The project is not dependent on securing a power purchase agreement or other form of secured income such as a contract for difference as other EFW projects have required and, as such, EPUKI expects to progress to the construction phase soon after planning is approved.